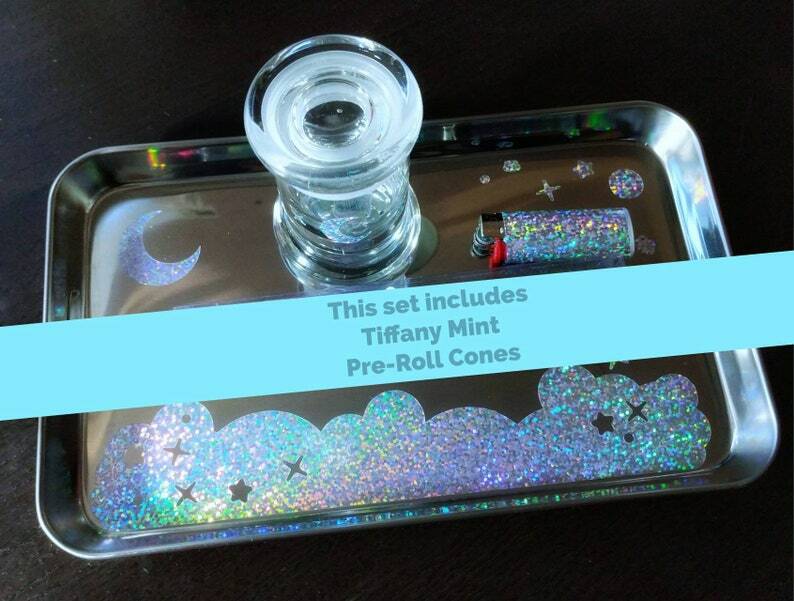 Exclusive Rolling Tray set in Galaxy Glitter Sessions Design by Pretty Trippy Shop. Shipping took about 3 1/2 weeks. Tray is much smaller then what it looks like in the picture. However, stash jar is much bigger then what I thought. Overall decent quality. Slow shipping, but super cute!